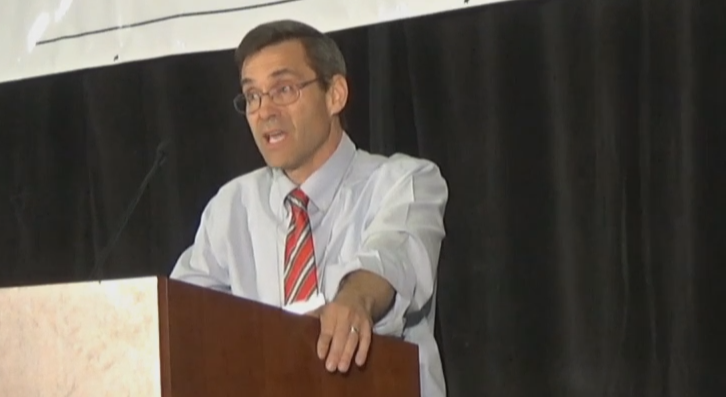 Grant Hardy gave a landmark presentation at the Fairmormon 2016 Conference titled “More Effective Apologetics”. In this blog post, I will review the presentation and also go a little deeper into some of the sources and references Dr. Hardy used in the presentation, and provide wider context he’s given in published materials and podcast interviews. The full transcription of the talk is available at the FairMormon site. I believe this talk, together with Patrick Mason’s excellent talk at the same conference, will help popularize a paradigm shift into what Mason calls a sustainable Mormonism that will endure. In the presentation, he started with the problem. Recently, I’ve had some friends confide to me that they or their children are finding belief more difficult. Mormonism is no longer as convincing or as appealing as they once thought. That’s probably happened to you, too. He goes on to describe the church in the 70’s and 80’s and that it seemed to work easier. Church growth rate annual growth rate was 4-5% compared to the 1.7% last year, even despite the missionary surge. There were less intellectual challenges against the church. As times have changed and the world has advanced in understanding in science and history, what worked to make sense of Mormonism for past generations, doesn’t seem to work as well today. Today however it feels like we’re on the defensive. People already know quite a bit about the church and with a few clicks of the mouse they can know a lot more, including negative information that was difficult to come by in the 1970s. The story of the restoration is less clear-cut than we had imagined. The sorts of evidences that we used to push foward are less persuasive than we had hoped and troubling issues in church history have not faded away but instead have become magnified. Gone are the days when a student asked an honest question and a teacher responded “Don’t worry about that.” Gone are the days when a student raised a sincere concern and a teacher bore his or her testimony as a response intended to avoid the issue. Elder Ballard continued by noting that when something has the potential to threaten our spiritual life it is sometimes necessary to ask those with appropriate academic training experience and expertise for help. Dr. Grant Hardy is a Yale trained scholar, loves the Book of Mormon, and faithfully serves in a stake presidency. He is exactly who Elder Ballard is saying we should look to for help. One of the things we need to do is stop making poor assumptions about doubters or critics, and generally use a more respectful tone. He calls for a kindler, gentler LDS apologetics. There’s a difference between apologetics and polemics. Rhetoric that wounds or ridicules even in the name of humor is not going to impress thoughtful bystanders, nor is it helpful to try to discredit or delegitimize people expressing genuine concerns. Bringing up troubling issues or inconvenient facts doesn’t automatically make someone an enemy. Many of those we might label as critics are simply reaching for explanations that make sense in terms of their own worldviews where they have felt genuine hurt and betrayal when traditional modes of Mormon belief (and that includes apologetics sometimes) have not measured up to real challenges. I think we ought to just retire the word anti-Mormon. I’ve used that word anti-Mormon, but I am going to follow Dr. Hardy’s example. I’m officially retiring that term from my vocabulary. Critics and doubters are not enemies. He then takes aim at a favorite mantra of LDS apologists the last ten years. Metaphors from warfare or sports that involve attacks, opposing teams winning and losing, points scored for one side or the other don’t feel right to me. Some LDS apologists such as Dan Peterson frequently reference a quote, allegedly attributed to the late apostle Neal A. Maxwell, that there be “no more uncontested slam dunks” by critics of the church in the LDS apologetics world. I think many un-Christlike things have been done under that guise, so I’m glad to hear Hardy address it. In basketball, to challenge an uncontested slam dunk is to foul someone hard that has an easy dunk, to force them to make their points at the free throw line. It’s generally considered a dirty play. It probably has no place in LDS apologetics. Sometimes, rather than attack the criticism, it’s better to listen. We need to take a more humble approach, and we can likely learn something from critics. Many criticisms can be summarized as: the basic claims of the church are contrary to science history or ethics. And as painful as it might be to hear that, some charges do have at least some validity and deserve careful consideration rather than dismissal with a snappy retort. Traditionally, LDS scholars seem to have had an unwarranted distrust of non-LDS scholars. Hardy says to look to non-LDS scholars for biblical scholarship. Mormons, if you’re interested in the Hebrew Bible and the New Testament you don’t need to rely on LDS authors to digest this material for you you can go straight to the experts themselves. He then flashed a few books and resources on the screen to lead us in the right direction. If you were to read just one of these books you would know more about biblical scholarship than almost any BYU graduate. These books guide the reader into a perspective that is a bit jarring to a traditional, fundamentalistic type LDS view of scripture. Bible scholarship like Documentary Hypothesis and Old and New Testament textual criticism (my blogs are kind of like Mormon scholarship for dummies, so don’t feel bad if you misunderstand that term. Bible textual criticism does not mean criticizing the Bible. It is the scholarly branch that has to do with identifying how the Bible text came together, the history of it, the sources, who wrote what, what got added later, what is forged, what is mistranslated, etc.) are areas that for a long time have been scary for LDS. We as a church didn’t know what to do with this scholarship, so it led us to be distrustful of mainstream academia or come up with implausible, alternative theories that allowed us to preserve favorite LDS apologetic arguments. This scholarship suggests that the creation story should likely be taken as allegory, that Moses didn’t write Genesis and Exodus, and that Isaiah didn’t write (all of) Isaiah. And that the New Testament text came together in ways that raise serious credibility to some of the verses we hold dear. Historical critical method can challenge traditional beliefs yet there are many models of scholars who combine secular learning with deep devotion. Latter-Day Saints sometimes brush the criticism aside, asserting that such interpretations are simply the work of academics who do not believe in prophecy, but this is clearly an inadequate (and inaccurate) response to a significant body of detailed historical and literary analysis. William Hamblin has suggested that the problem might be alleviated if we regard Second Isaiah as a prophet contemporary with Nephi, but even this is not an entirely satisfactory solution. Recent Isaiah scholarship has moved away from the strict differentiation of the work of First and Second Isaiah (though still holding to the idea of multiple authorship) in favor of seeing the book of Isaiah as the product of several centuries of intensive redaction and accretion. In other words, even Isaiah 2-14 would have looked very different in Nephi’s time than it did four hundred years later at the time of the Dead Sea Scrolls, when it was quite similar to what we have today. A more promising avenue for the faithful, it seems, is to acknowledge that we probably know less about what constitutes an “inspired translation” than we do about ancient Israel. Once one accepts the possibility of divine intervention, the theology can accommodate the (always tentative) results of scholarship. I think the BOM could be a free translation with lots of modern elements. I think the BOM could be an amazingly free translation. But if there are still ancient Nephites and the translation came from God, then that matters a great deal. For instance, the movie 1776 which takes the story of the Declaration of Independence and puts it in Broadway Musical form… It’s not just a translation it’s like a whole different genre. That doesn’t mean that Benjamin Franklin and Thomas Jefferson never lived. There is some sort of connection with it (actual history)….If we had a scholarly translation of what was on the gold plates coming out of perhaps Mesoamerica wherever that it came from, it might actually look quite different than the Book of Mormon that we have now, but the BOM that came through Joseph Smith is apparently the way that God wants it, and it’s been very effective in being the founding document for a new religion. About the issue of racism in the BOM, Hardy rejects the traditional LDS apologetics that light and dark skin wasn’t actually referring to skin color, and freely admits that ancient Nephites in the Book of Mormon were likely racist, looking at it through a modern lens. But, just as racism and other historical messiness in the Bible doesn’t invalidate its scriptural truths, neither should racism in the BOM. In the Q&A portion of the presentation, Dr. Hardy took on a question about the BOM as “inspired fiction”. First he rejects that model, personally. I believe that Book of Mormon people were actual historical people. Partly, that’s a matter of faith partly because that makes sense to me when I read the book of Mormon as carefully as I can. I find their voices to be the most impressive, the smartest, wisest most admirable voices in Mormonism. And that’s amazing to me, because generally one of the rules of novel writing is it’s hard to create characters smarter than you are. And when I think of Joseph Smith at the age of 23, I don’t think he was that smart…I believe that there were actual Nephites. I think they were probably in Mesoamerica. That seems to make the most sense to me. I believe the BOM is history. That doesn’t mean it’s accurate in a historical sense in every respect. The authors had biases. They had blind spots. They probably made some mistakes. That’s the way it is with actual people who are writing. Julie Smith said “all ancient writers write propaganda.” Obviously, that must be part of the Book of Mormon as well. When I see anachronisms, as I said earlier, I don’t automatically say Joseph must’ve been a fraud. I think what could this mean? So when I see Nephi quoting the New Testament those phrases all the way through in a way that doesn’t make sense for an academically translated ancient document, then I say what else could this mean? Maybe the God of the Book of Mormon is a God who delights in intertexuality and wordplay…So I believe that the Book of Mormon is the words of ancient prophets, but probably updated and transformed into translation into something that would make sense to inspired Bible reading Americans of the 19th century. I think the Book of Mormon as we have it, as it came, is Jesus’ book. And I think as it came, it came in a form that was sufficient for his purposes. Then he defined a few models of this inspired fiction concept and gave his opinion on those LDS that might hold that idea. Product of human genius, like we might say the Hindu Bhagavad Gita is a product of human genius. It’s a product of generic revelation. That there’s some sense of Higher Power that is influencing humans. And the Book of Mormon is a product of Joseph Smith responding to this divinity. More specific. There is a God that directs Mormonism and he inspired Joseph specifically to write the book, but that it doesn’t correlate to actual, ancient history. The question can be: Can faith in the Book of Mormon as inspired fiction be a saving faith? And I think the answer is: Absolutely! At the judgement bar, if you were to say to God, “I couldn’t quite make sense of the Book of Mormon as an ancient American codex, given the available evidence, but I loved that book, I heard your voice in that book. I tried to live as best I could my whole life according to the precepts of that book,” I believe God will say well done thou good and faithful servant. Thank you, Brother Hardy. I don’t like the term “inspired fiction”. It seems to trivialize that view. But, those three descriptions are closest to my view of how the BOM came about. I consider myself a devout and faithful LDS, so when someone with the stature of Brother Hardy described my faith this way, I felt very grateful. OK, now that we understand a bit better about the messiness of scripture, let’s figure out how he retains his faith. We need to change our paradigm from simple black and white thinking (and teaching) to a more nuanced view. It’s easy to over-claim. To imagine that the evidence for faith is simply overwhelming. That in turn may lead to naive confidence on the part of young people or students and then perhaps disappointment or confusion when members come across less well-known, more troubling aspects of our history and scriptures. You don’t want to sow doubt. But at the same time, you don’t want to foster a brittle, fragile kind of faith that may later crack under pressure. The crisis of faith that is so common these days, might actually be a crisis of expectations. I’m not sure it’s always helpful to talk about crises of faith. Often what’s bothering people is more along the lines of the crisis of expectations. Some Latter-day Saints were raised with fairly rigid notions of scriptural inerrancy, prophetic infallibility…A shift toward more realistic attitudes may be in order. It also can also be useful to remind people that you don’t have to defend everything to be a Latter-day Saint. The list of essentials will vary from person to person. For me, for example, the Book of Mormon is central to my faith in a way that say polygamy or the Book of Abraham is not. For institutions, few of them will come off well if there’s an assumption that any objectional details will discredit the whole enterprise. People are complicated and history is messy…Mormonism is (analogy borrowed from Melissa Inouye) less like a string of Christmas lights where one bad light will render the whole string dysfunctional and more like sourdough bread in which the components mix work together in a messy, organic way to create something wonderful. Turning again to non-LDS scholars, he introduces us to the idea that although Mormons are kind of late to the table, Christians and Jews have been dealing with these issues for 200 years. We can learn a lot from how faithful scholars from within those traditions deal with the messiness of scripture and other CES Letter type issues. I also want to give a shout out to Blair Hodges and the Maxwell Institute podcast. Blair has been interviewing some of the most engaging well-respected figures in religious studies. If you want to hear what intelligent, devout, non-Mormon scholarship sounds like… Scholars through the centuries both Jewish and Christian have been very careful readers of the Bible and they have a lot to teach us. It’s not like we’re the first people to have ever had faith crises in trying to reconcile old religious texts and traditions with modern sensibilities. He recommended four podcasts in particular. I highly recommend spending four hours listening to these to get a flavor of what Dr. Hardy is wanting us to learn from this. Peter Enns: an Evangelical Christian talks about the difficult issues in the Old Testament such as God’s command to exterminate the Canaanites or the lack of archaeological evidence for the conquest in the book of Joshua. NT Wright: listen as he talks about slavery in the New Testament which is a very difficult issue when he explains the Bible is a drama rather than than simply a collection of eternal timeless truths. Listen to Maria Dakake and Joseph Lumbard, converts to Islam how they deal with common criticisms of the Qur’an. Listen to Julia Watts Belser, who as a Rabbi is a religious leader as well as a scholar. Listen to how she talks about how she the manages those two roles. I think the Peter Enns interview was especially enlightening. He’s a Bible Scholar and devout believer. I believe it’s so critical for LDS to understand this perspective and how it directly applies to the LDS church and our interpretation of scripture, that I manually transcribed this and included this portion in its entirety. BH: I want to talk about one specific example that you draw out in “The Bible Tells Me So,” talking about synthesis, and the example I wanted to mention is with the instances of genocide in the Old Testament. I had a friend, a fellow member of the church come to me, he knows I like books and stuff, and he said “we’re studying the Old Testament this year in Sunday school and I’m reading this story where God says alright Israelites here are these people and here is their land isn’t this great land but the catch is you’ve got to go in there and just slaughter everybody men women children sheep goats, the whole thing and kill them all,” and he says, “that’s a God that’s very unsettling to me but it’s in the Bible, though.” So you suggest that understanding biblical scholarship can help alleviate the discomfort that we get from that type of story, right. PE: I think so, it doesn’t give us much choice but to do that. That’s the first issue I talk about in “The Bible Tells Me So” because that’s one of two or three issues that always comes up in church context. Very briefly, I’m not Episcopalian, but I play one on TV. I’ve been going to an Episcopalian church for about four years now. There is a church a parish not far from ours. Episcopalians don’t read the Bible. We’re joking here, they do but they don’t. And so this church was going through “let’s read the Bible in a year” and within a month, I’m getting a phone call saying “ah, can you come explain this stuff to us. God’s killing everybody, Ok let’s talk about it.” It’s a common phenomenon to read the Bible and by the time you get to Chapter, 6 God drowns everybody and you keep moving and there is just a lot of violence and the Canaanite extermination probably is the great example that people look at. So, the synthesis is basically this. Archaeological investigations in that part of the world that have been going on for about 100 years now. Here’s basically what they found. There are maybe two or three sites that corroborate generally some type of violent takeover. But the book of Joshua mentions 31 towns, and of those 31 towns roughly 16 of them are said to be taken to some violent conquest. Of the 16th, there are maybe two or three that that fit. Some towns that are said to have been taken or occupied didn’t exist at the time. They existed later. And even in some cases, towns that the Bible doesn’t mention as having some type of battle evidence in archaeological data, the Bible says nothing happened there. Something did happen there, according to archaeological evidence. It’s somewhat of a mess, but it’s hard to find a trained biblical scholar who would say anything other than the conquest of Canaan that we have in the book of Joshua is probably a significant exaggeration written at a later time to buttress Israelite ideology. About who it is. That it’s a world player. Its status among other peoples. And the status of its God. Okay, so now we have the Bible lying about history! BH: People are going to say, “That’s all well and good. You got rid of that untidy little story. But why believe any of it at that point? PE: Well what do we mean by believing it? Because here we have now probably a story which like virtually anything you can point to in the Old Testament on some level you can see the historical echoes of something that would have given rise to these stories, but the stories themselves reflect a later rumination on the part of a people defining its own existence. It’s really a statement of faith in terms of who are we and who is God and how do we relate to people outside of us. So in Joshua you know, the outsiders are the Canaanites and they are bad but you go elsewhere in the Old Testament and things aren’t quite as clear, because you have prophet Jonah who was supposed to preach repentance to the Ninevites who are the Assyrians who are really bad people. So you have within scripture, let’s say this kind of diversity of thinking through the issue of “we believe that we’re the people of God and this God is the true God but you know what, maybe he’s not just our property maybe this God has a bigger picture in mind maybe he’s the God of these enemies over there.” And of course that’s developed even more in the New Testament. So, the synthesis, the kind of thinking that I’m laying out here which is where my head is at this point that’s driven by an attempt to synthesize this Bible that we have with outside information that affects how I understand it. BH: your argument seems to be then, that you have a faith in God and you see these stories as being one particular people’s attempts to reckon with God and to serve him and also to reckon with their own identities and so the Bible isn’t necessarily telling us this straight up history of all these stories but rather reflecting specific people’s engagement with God and everything that comes with that, which is their own assumptions and culture. “The Bible is what it looks like when God lets his children tell the story.” I love that! Does it mean it actually happened?? Maybe not. Does it matter? Not really. How far can we take that? How far should we take that? Book of Abraham? Book of Mormon? Doctrine and Covenants? New Testament? Modern day prophetic revelation? Do we run into more problems when we’re afraid NOT to take that approach (ie people leaving church over a black and white view of CES Letter issues) than we do by taking that approach (making sense of new paradigms on issues like prophets, authority, exclusivity, doctrinal certainty)? Richard Bushman addressed this tension between the old narrative and the new narrative. I think for the Church to remain strong it has to reconstruct its narrative. The dominant narrative is not true. It can’t be sustained. The Church has to absorb all this new information or it will be on very shaky grounds, and that’s what it’s trying to do. And there will be a strain for a lot of people, older people especially. But I think it has to change. Elder Packer had the sense of “protecting the little people.” He felt like the scholars were an enemy to his faith, and that (we should protect) the grandmothers living in Sanpete County. That was a very lovely pastoral image. But the price of protecting the grandmothers was the loss of the grandsons. They got a story that didn’t work. So we’ve just had to change our narrative. Speaking of Dr. Bushman, Hardy recommends him as the model of LDS apologetics over Hugh Nibley. Every student should read Richard Bushman’s Rough Stone Rolling. In a required religion course a few pages worth of historical background is no substitute for actually trying to imagine Joseph’s life and concerns, the highs and the low points in the context of early 19th century culture over the course of 550 pages…Richard bushman is faithful but honest and sympathetic as well as critical. Bushman is probably a better model for apologetics than is Hugh Nibley. To get a flavor of what I think he means when he says that, please review this blog post I made about an interview Richard Bushman did last year on Mormon Discussion Podcast. Some years ago if someone told me the Book of Mormon wasn’t historically accurate, that it was some kind of modern creation, I would have thought they were heretical. I wouldn’t say that anymore. I think there are faithful Mormons who are unwilling to take a stand on the historicity. I disagree with them, I think it is a historical book, but I recognize that a person can be committed to the gospel in every way and still have questions about the Book of Mormon….I know people of that kind (LDS who don’t take the BOM as historical). And they are very good people. Yeah, I would take a position very much like that, but I would also say we have to try to understand why people would write that scripture that way, what is it, what kind of life situation leads you to feel that God is helping you to destroy your enemy and appreciate there are some people’s lives so desperate, so harried, so pressured, so hopeless that they can only find satisfaction with a God who is going to avenge themselves from their enemies. Dr. Hardy is encouraging us to take this same kind of view towards other difficult LDS historical issues. So when I encounter anachronisms or other puzzling or problematic features of the Book of Mormon, rather than jumping to the conclusion that Joseph Smith must’ve been fraud, I ask what else might this mean? What might this tell us about God and his relations with his children? Where does this lead us? We’re able to deal with the CES Letter issues now. We understand why the “whitewashed” LDS view of scripture and history isn’t accurate. It makes sense. But then, this leads us to raise questions about exclusivity, authority, and a proper view of the brethren. I call this “lowered expectations Mormonism.” It will take some time to grapple with it and change your paradigm, but Mormonism is worth it, Dr. Hardy argues. Dr. Hardy encouraged us all to come up with our own list. This is the new Mormon Apologetics. We shouldn’t be so concerned about tearing apart the CES Letter. We should be doing positive apologetics. It is not enough to do negative apologetics, that is to criticize the critics. We need to do more with positive apologetics. That is making a case for belief by better articulating what about Mormonism is true and beautiful and inspiring. Terryl and Fiona Givens have been making strides here as well as Patrick Mason and Andrew Miller and other authors in the Maxwell Institute’s Living Faith series. Closing his presentation, he got a bit emotional at this point, as he compared the story of ancient Israel with the story of modern Mormonism. (The Bible) is above all a story. A story of a relationship between Yahweh and his people. God chose Israel and called them to lives of holiness and justice, promising that through them, they would bless the entire world. It was somewhat of an up-and-down relationship, characterized by kindness and mercy on God’s part, but also by frustration and even anger at sin and unfaithfulness, yet undergirding it all was a steadfast love, God’s steadfast love, manifested in covenants. That’s our story as well. As members of the Church of Jesus Christ of Latter-day Saints, we don’t have a monopoly on truth or on goodness. Though we have quite a bit of both. But we have been called to be God’s people in the latter days. To be holy and just, as he is. To be a light to all nations…We have a lot to learn. But I believe God is with us. It’s hard to hear that and not tear up or get goosebumps or however you feel the Holy Ghost. That is our story. That is Mormonism. That is, as Patrick Mason said at this same conference, the Mormonism that is going to endure in future decades and centuries.